DON’T BE LATE TO THE TALENT ATTRACTION PARTY. Let us help you craft your talent management solutions. 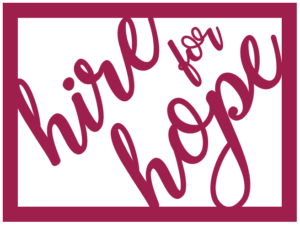 Hire For Hope is a full-cycle recruiting firm, placing top talent in sales, supply chain and operations. of employers say their #1 obstacle in finding top candidates is a high demand talent pool. of the workforce is made up of passive talent requiring a tap on the shoulder to consider a job change. days is the average length it takes top, active candidates to be snatched from the market. If you are searching for talent in sales, supply chain or operations, we are your partner firm. Strong relationships with A-players in the industry help us discover hidden candidates who would not consider making a career move until we tap them on the shoulder. Open communication is our top priority with both clients and candidates to understand their needs and set expectations accordingly. We understand the value of great customer service to effectively meet your needs. Our style of communication: Responsive, Warm, Friendly.  With a philanthropic spirit we dedicate ten percent of our time and revenue to a local domestic violence agency, making a difference in our community. We pride ourselves on our extensive network spanning market segments in manufacturing, distribution, and professional services throughout West Michigan. We capitalize on our strong connections to find the perfect person for your business. We deliver exactly what we promise. We never misrepresent our candidates, and only send those whom we have an established relationship of mutual trust. Based in “Beer City USA,” we promise never to send you a candidate we wouldn’t want to have a beer with. We have created and refined a recruitment process that works time and time again. With both candidates and clients our goal is to build trust, ask the right questions, and find a mutual, beneficial fit for both parties. Our process is the guiding force behind our success. We are known for our creative strategy in sourcing the best candidates for your business. We don’t spend much time on traditional job boards weeding through resumes. We are out in the field building relationships, attending networking events, and refining our centers of influence. There is no better hire than a referral from someone you trust. Picture us as that referral source. We value the importance of effective collaboration with our clients to achieve success. Working together to understand your needs helps foster a collaborative environment that also impresses passive candidates during the interview process. In some cases we also work directly with your hiring managers to better grasp of the requirements and must-haves in a top candidate. We attract the top talent in your industry. We reduce the time taken to fill critical positions. We stand behind our candidates with a guarantee. Only pay if you hire one of our candidates!